Sanliv battery powered hands free faucets operate by means of an infrared sensor. The modular design incorporates all of the operating components of the faucet, including the sensor, solenoid, circuitry and battery above the sink within the faucet body. A control lever on the side of the one-piece faucet for tempered or hot/cold water supply lines allows restroom visitors to set the faucet to the desired temperature. 1. Infrared sensor operated,touch-free operation. 2. Advanced energy saving design for long lasting battery life. 4. Weak battery LED light indicator. 5. Self-adjustable automatically sensing distance. 6. Easy replacement battery & maintenance:All parts built-in faucet body. 7. Advanced circuit design saves electricity suitable. 8. Battery: 4*"AAA" size cells . 1. Operational water pressure range:0.05-0.7 mPa. 6. Operation duration:Power will automatically cut off after continuous use for 60 seconds . 9. Mixer: for cold & hot water mixing by knob. 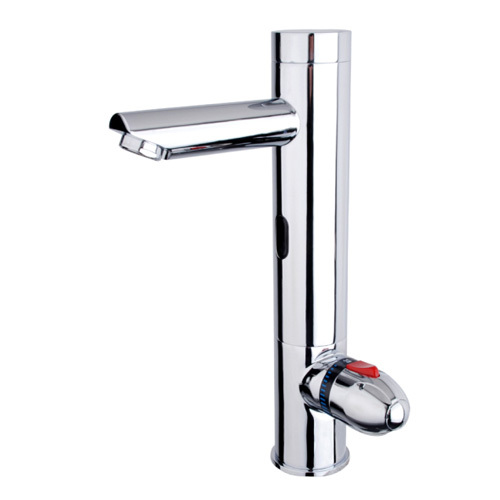 Looking for ideal Electronic Sensor Faucet Manufacturer & supplier ? We have a wide selection at great prices to help you get creative. 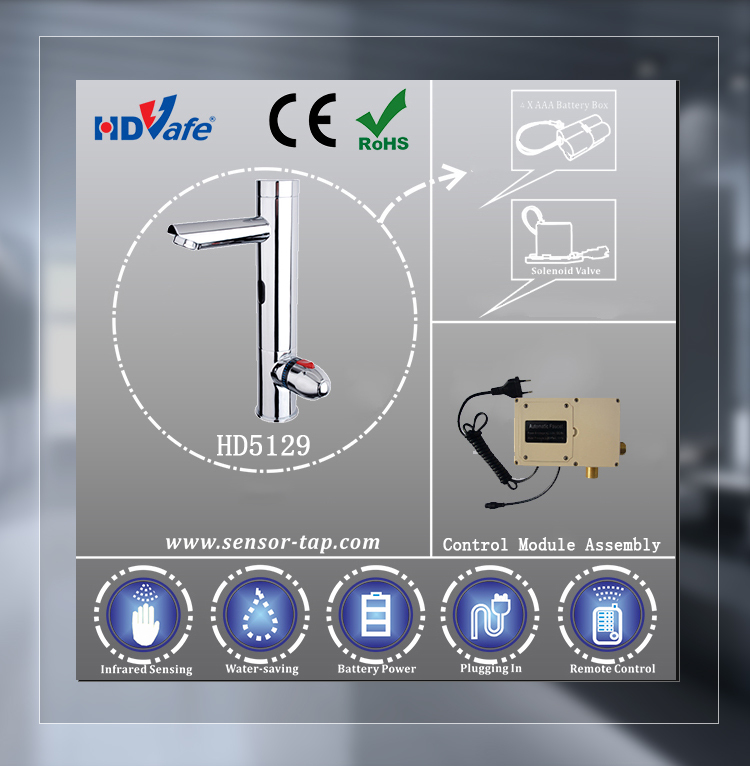 All the Hands Free Electronic Sensor Faucet are quality guaranteed. We are China Origin Factory of Automatic Hands Free Faucet. If you have any question, please feel free to contact us.